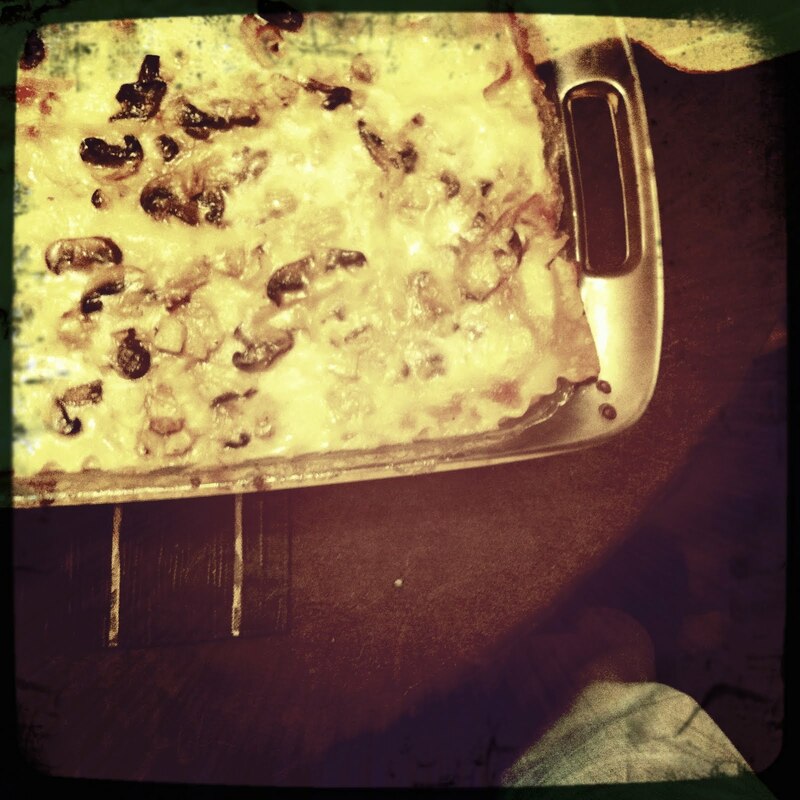 Often, after a week of using new recipes, I want good, old-fashion comfort food. 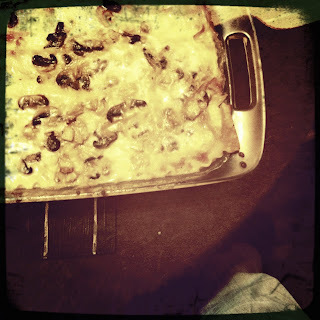 However, finding new spins on classic favorites can prove problematic (especially when it comes to lasagna). I have tried many recipes that have failed to live up to expectations or were complete failures. I was intrigued when I saw a recipe for Artichoke Mushroom Lasagna in the April/May issue of Taste of Home magazine. All the ingredients in this recipe are easy to find, there were even bulk and pre-packaged baby portobello mushrooms in my local grocery store. The prep is relatively time consuming, with multiples components needed to construct the lasagna. I had to make a large modification to the recipe due to the fact that I ran out of 2% milk, I had to substitute non-fat. Since non-fat milk is much lower in fat than 2% I had to add additional flour and butter in order for the sauce to thicken to the desired consistency. Additionally, I was unable to find no-cook lasagna noodles, so I cooked my noodles on the stove-top and then followed the recipe accordingly. My four year old liked this recipe, my two year old was indifferent. My husband liked this recipe and it heated up well for his lunch the next day. The one thing that this recipe lacked was an adequate amount of salt---salting on top was not enough---it needs additional salt added to the inside due to the mushrooms. I would make this recipe again and try with 2% milk and plenty of seasoning. 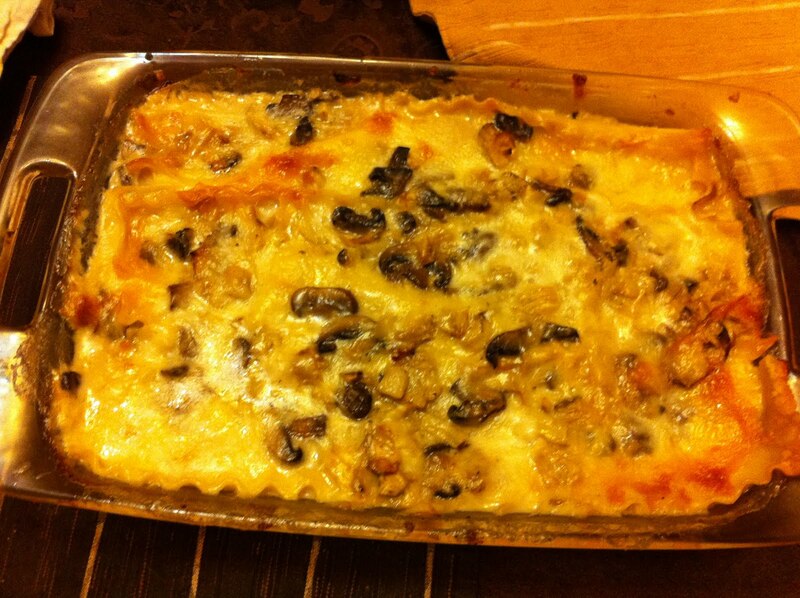 For the recipe go to Taste of Home Artichoke Mushroom Lasagna. Note: My husband added some J&D's Bacon Salt to his and found it tasty. Hi!! I'm stopping by and following from Wednesday Social Bzzz. I hope you'll check out my blog Frazzled Mama at http://frazzled-mama.com and follow me back. You had me at artichoke.....and it got better from there! Can't wait to try this recipe. Thanks for stopping by Yankee Texan Mom. Now following you back and looking forward to it! I'm a new follower from Wednesday's Blog Hop!